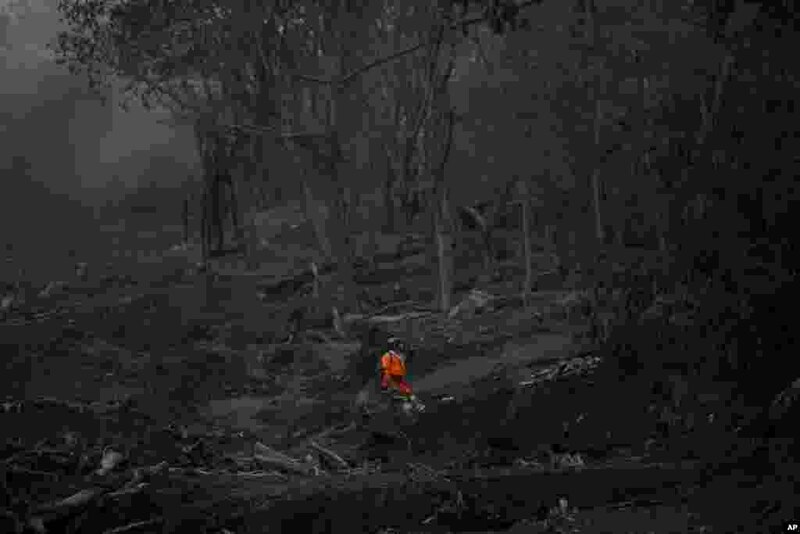 5 A rescuer looks for bodies in the area close to where the Las Lajas bridge used to be, after the eruption of the Volcan de Fuego, or Volcano of Fire, in El Rodeo, Guatemala. 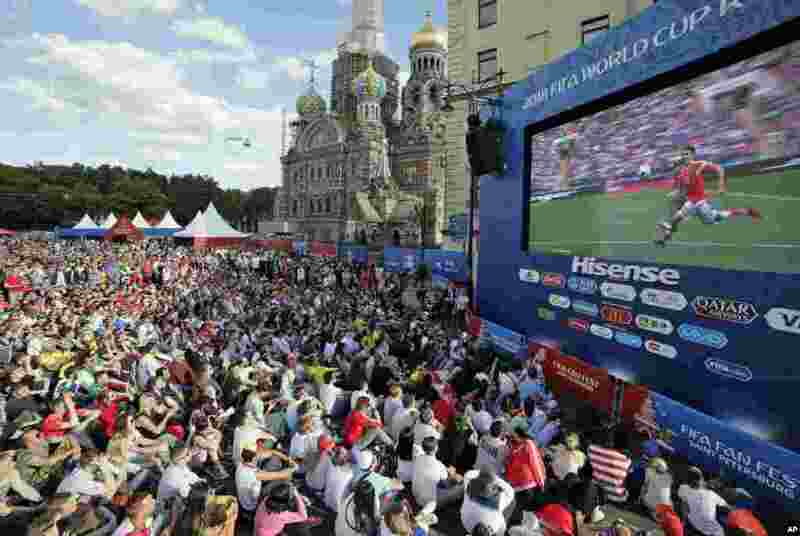 6 People watch the 2018 soccer World Cup match between Russia and Saudi Arabia on a huge screen at a fan zone in St. Petersburg, Russia. 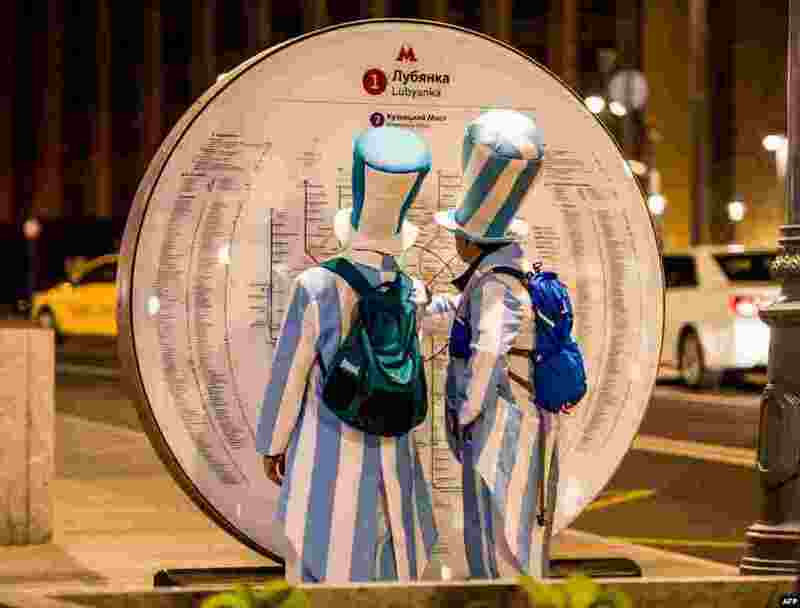 7 Argentina fans look at a metro map in downtown Moscow ahead of the Russia 2018 World Cup football tournament. 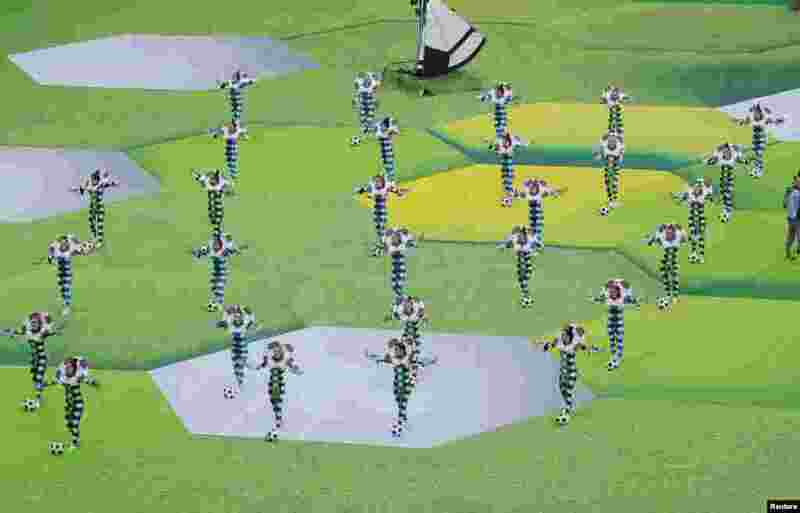 8 Artists perform during the opening ceremony of the 2018 soccer World Cup at the Luzhniki Stadium, Moscow, Russia.